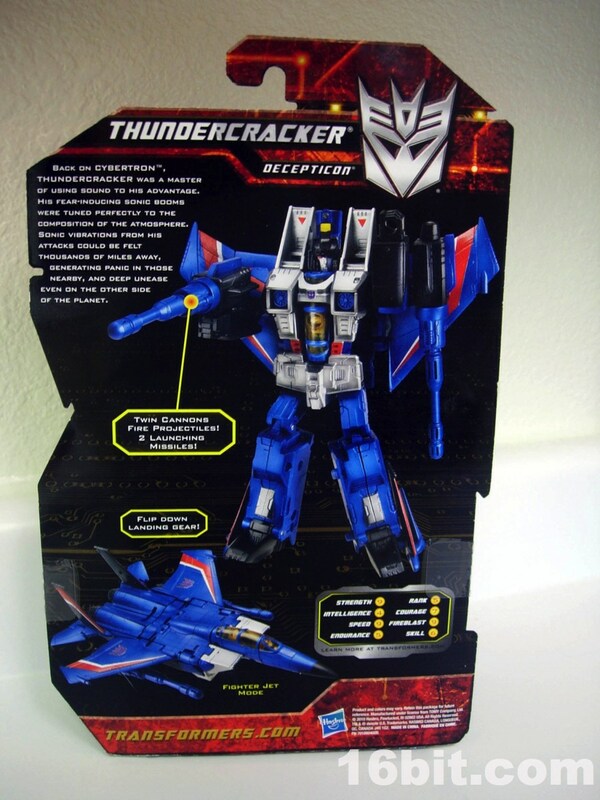 Time to wrap up the year! 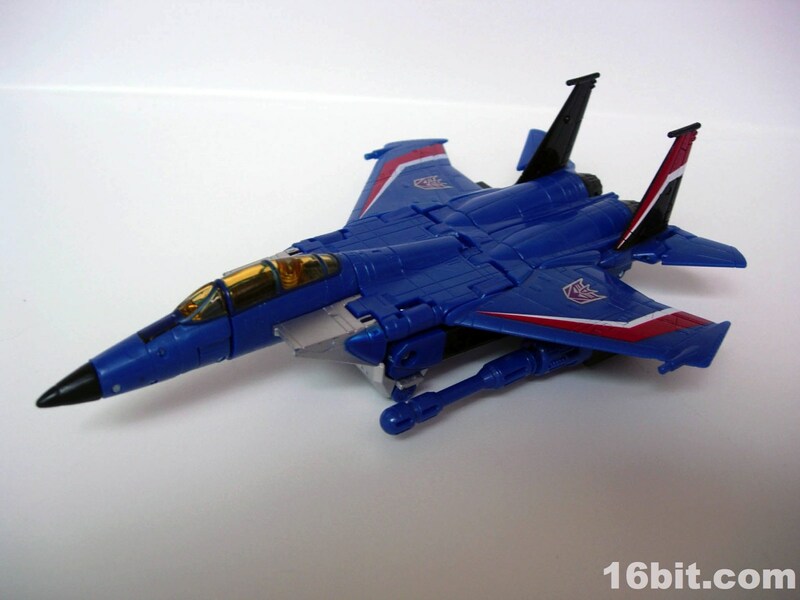 Let's finish up with (I think) the only Generations toy yet unreviewed here with Thundercracker, a figure fans were expecting to get since 2006. 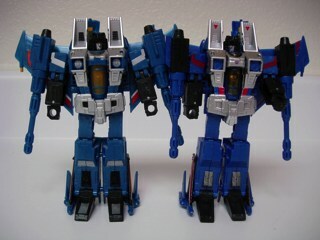 And technically, we got it in 2007-- a Botcon exclusive toy was introduced and remained expensive for a while, and Japan got an exclusive version as well with a slightly different paint job. 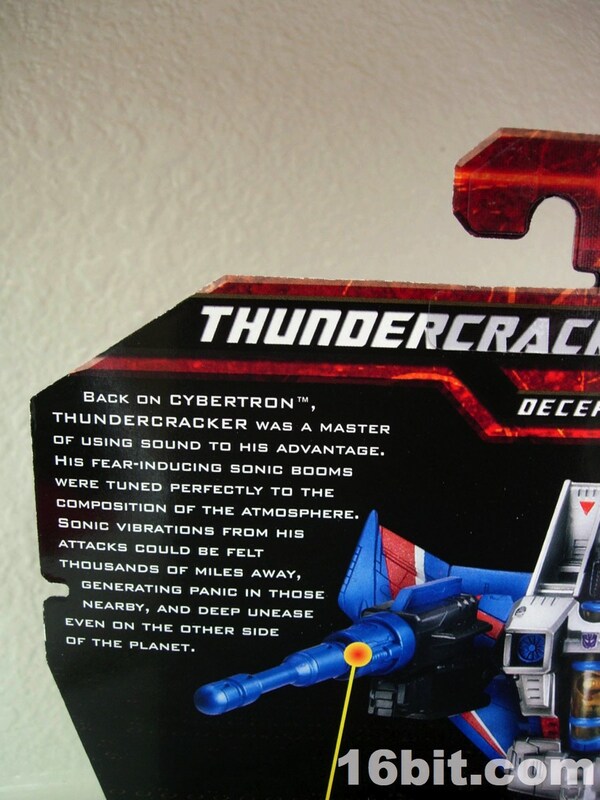 Oh, and there were a few knockoffs too. 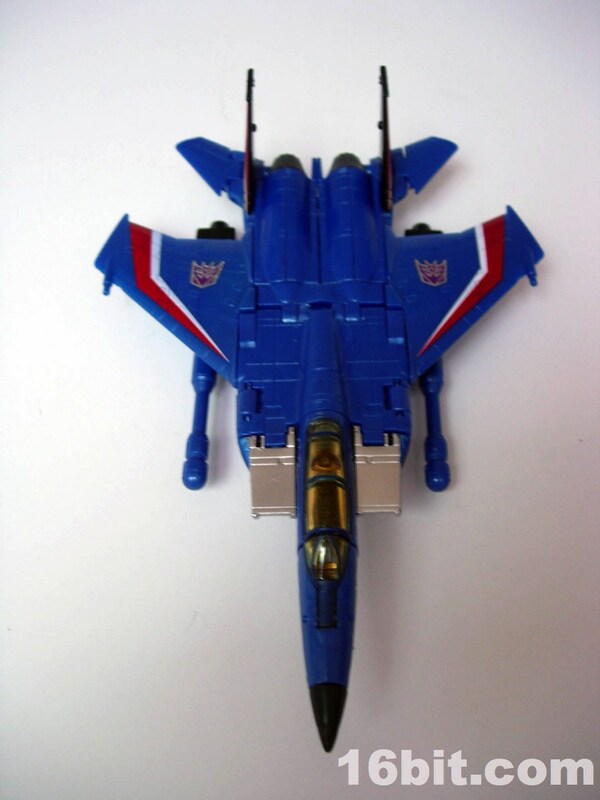 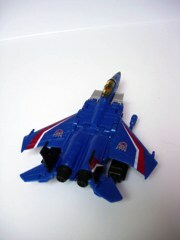 This was the first non-exclusive Thundercracker in this "classic" style, plus it managed to roll out at a time when Transformers fever was riding high due to a new movie. Interest in it quickly cooled, but it's still a fine toy and you should probably get it. 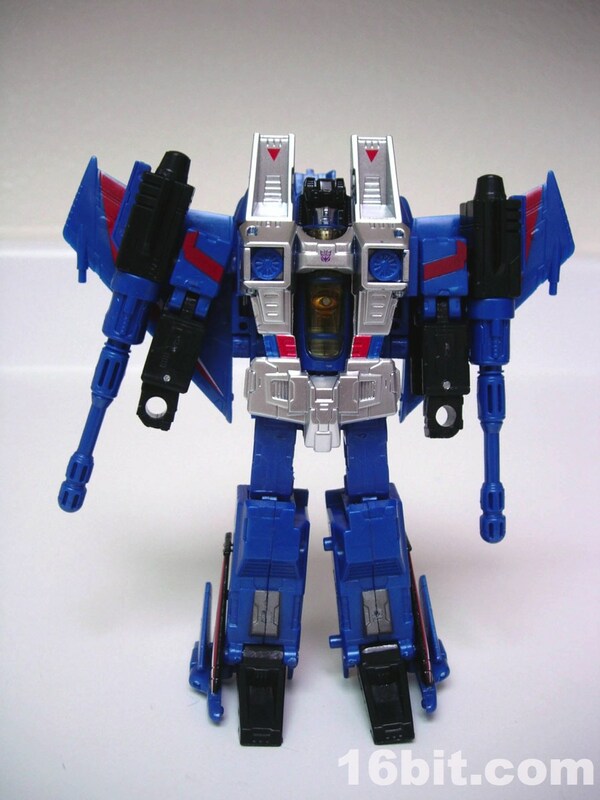 I would say that the Botcon Thundercracker (pictured below) may be the best version as it's a pinch closer to the original toy from 1984. 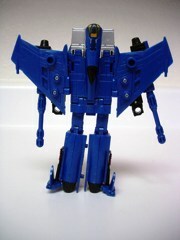 The 2011 Generations release seems to be more in line with other interpretations as he has Decepticon logos on his wings as well as just below his neck, which is a design trait introduced to the Seekers around 2010. 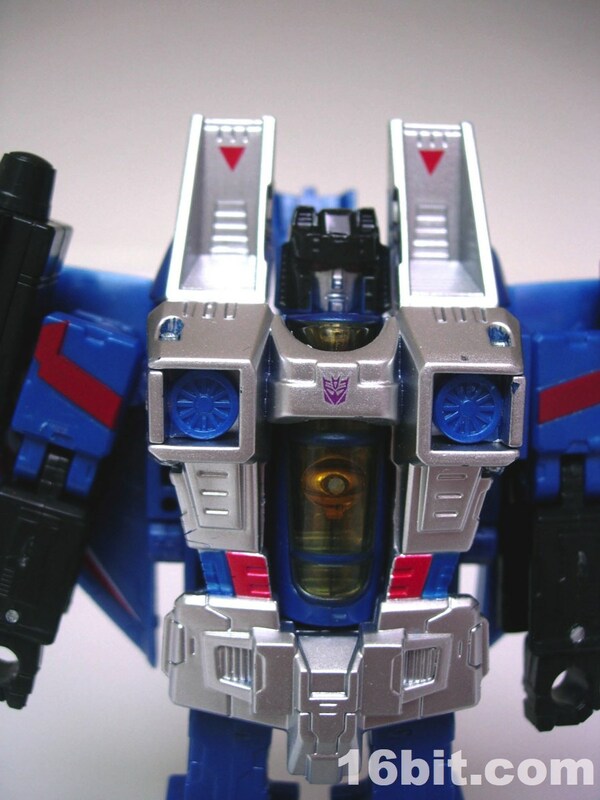 (See also Dirge.) 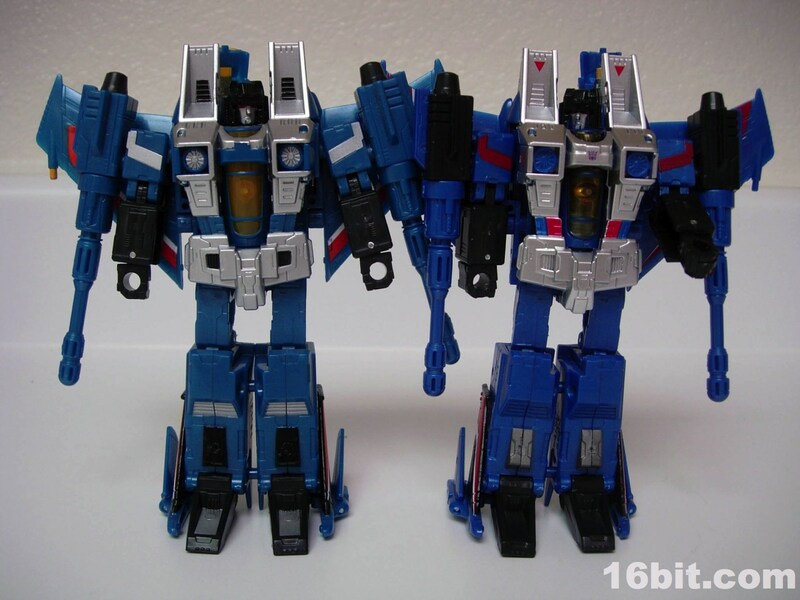 I don't care for it, but considering the difference between Botcon Thundercracker and Generations Thundercracker is at least $100 most of the time... I think I can let it slide. 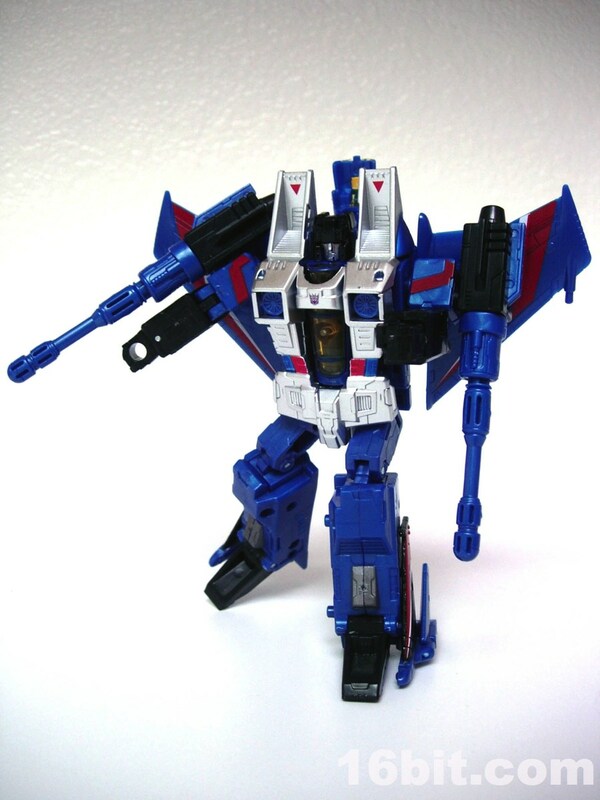 If you bought Classics Starscream (or Skywarp or Acid Storm and so on) you know what to expect from his accessories. Two rocket launchers may be mounted in his arms, fists, or wings via 5mm pegs, meaning he can share these with a variety of toys. 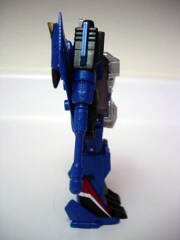 The rockets shoot nicely, fit well, and don't just randomly fire off by themselves. 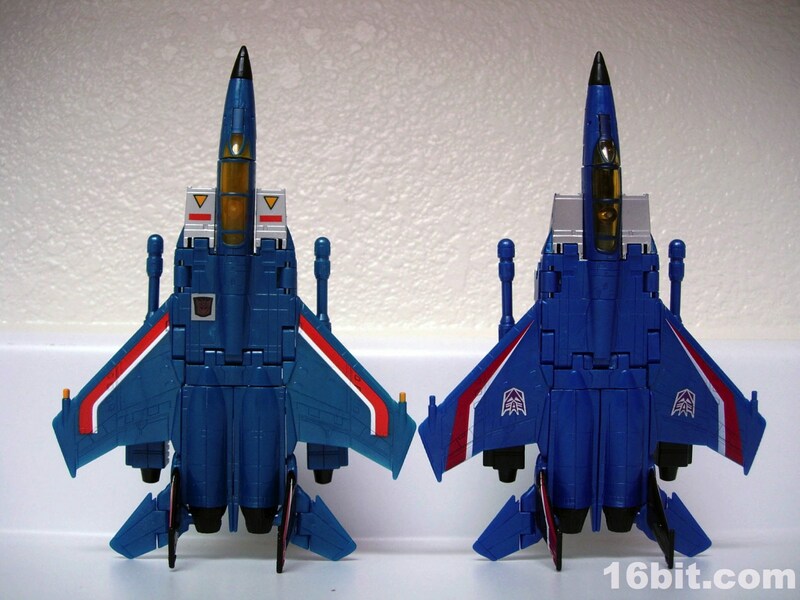 I like them as they're toys, and firing rockets are a fun, traditional action figure feature. 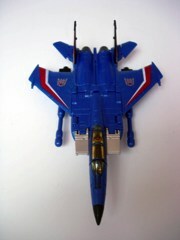 Some third-party parts makers produced non-firing ones, but they cost as much as or more than the toy itself. 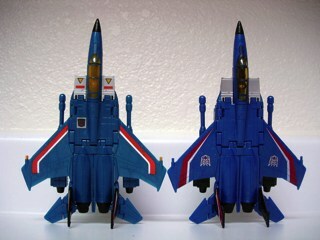 I'm happy with the configuration as it is. 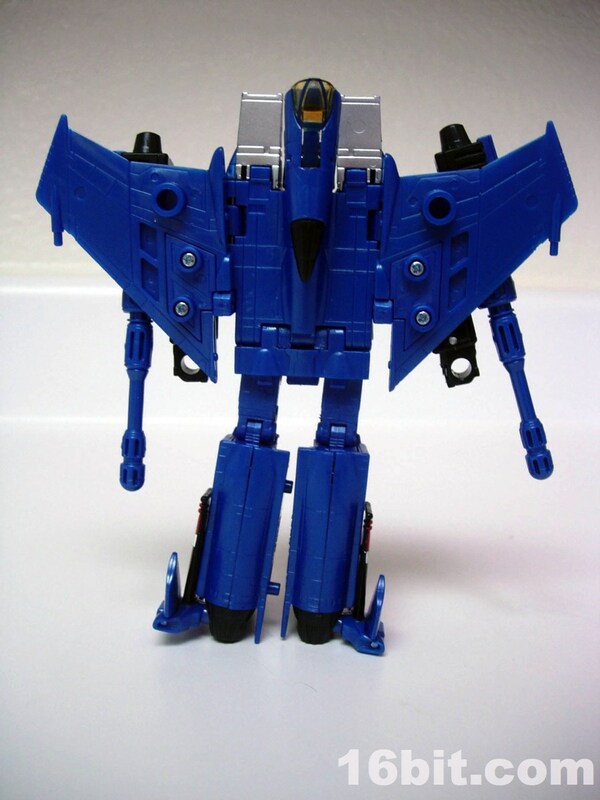 The jet mode has minimal functionality-- like most alt modes, it basically sits there. 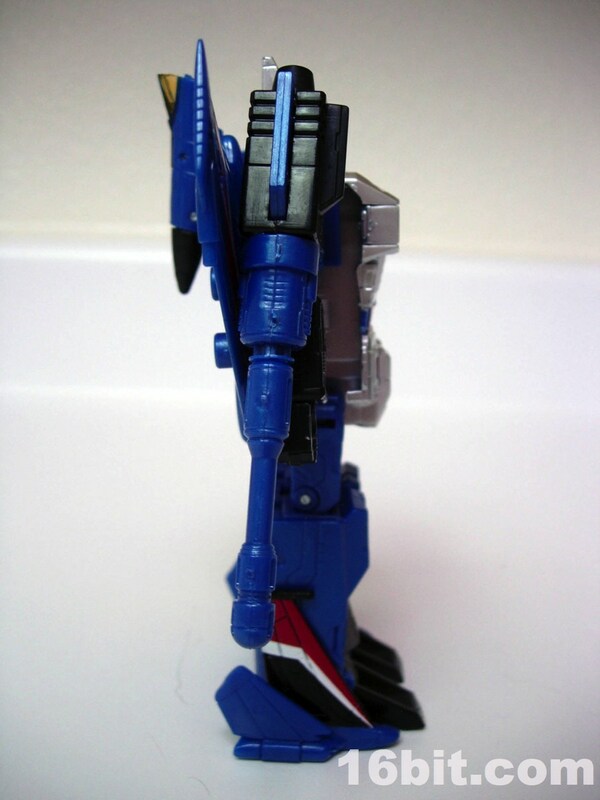 Since you can access the cannons, Thundercracker can "attack" in this form, plus you can use the landing gear if you're so inclined. It's a nice looking model, but again, it doesn't do much. 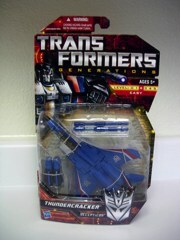 Transforming is so easy, I'd consider this to be one of the best toys to hand a youngster. 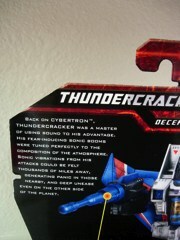 I don't think you have to worry about breakage or having to explain much, and it folds together nicely. If you're a fan of the new era of classic toys, this is one you should have bought by now-- and if you haven't, you might still be able to find it at a store near you. 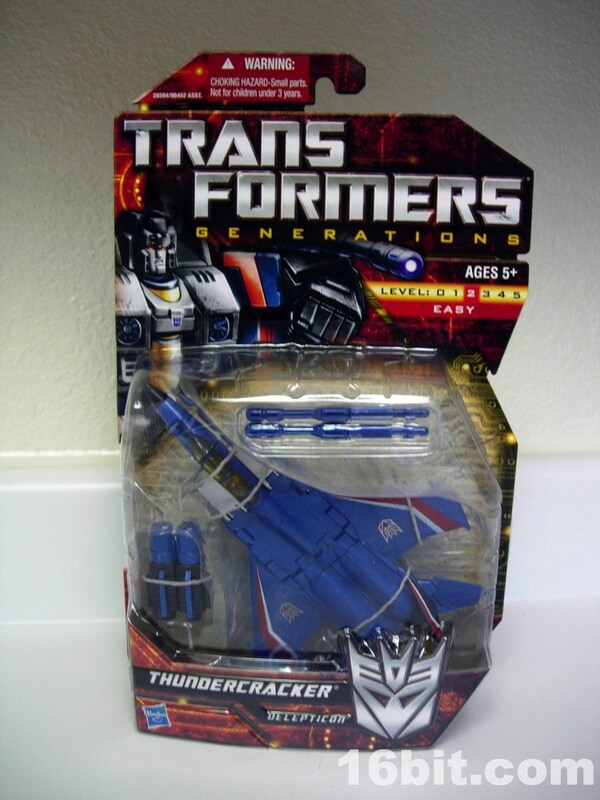 After its debut where it was scarce for a while, it-- along with Wheeljack, Warpath, Kup, and Scourge-- are pretty easy to get and are likely to be the only Generations toys most fans have seen since late summer.